There has never been a short supply of exceptional venues for celebrations of events in New York. However, when you are looking for a venue that provides wide varieties of shows, sports events, and musical concerts, the Nassau Coliseum is definitely the location to consider. With a world-class Nassau County Limo; your event at Nassau Coliseum is definitely going to be a blast of fun. So the question is; what is so special about this venue and what sort of events held there? Formerly known as the Nassau Veterans Memorial Coliseum, Nassau Coliseum is home to New York Islanders. The expansive sports field is situated on a 63 acre of land at Mitchel Field. The arena boasts of a 44,000 square feet in the main part of the arena and a 60,000 square feet at the Expo center. Nassau Coliseum is usually used for exhibition, shows, sports and trade events. There is no doubt that the Turtle Cove Golf Center at the arena is one of the largest Golf fields in the whole of America. Are you a sports lover? Are looking for fun and entertainment? Then you need to be at the Nassau Coliseum to witness numerous exciting sports activities. So how do you get to the sports arena? Your best bet is to choose Nassau Coliseum Limousine Service for a smooth and stress free journey to the venue. From 2015 to April 2017, the Nassau Coliseum was closed to enable a massive renovation to be carried out on the sports arena. This renovation has increased the attractions of the arena. Although the arena space has been slightly reduced, there are new features that have been added. Theatres and new sports bars have been added to the sports complex, making it more stylish and contemporary. On the 5th of April 2017, the arena was reopened to welcome tourists, fun lovers, and entertainment seekers. For people visiting the site, the transportation arrangement is very important. This is basically because of the crowd that frequent the venue. It is absolutely stressful to arrive at a special event at the Nassau Coliseum in cab or public transportation. Instead of settling for just anyhow transportation arrangement, why not make a stylish arrangement for town car service in Long Island to take you to the arena. You can bet that it is more befitting and classy to arrive at a concert or sports event in grand style. Nassau Coliseum is situated in the Long Island, 19 miles east of NYC. Getting to the arena can be somewhat difficult, especially if you do not have a cogent plan for your transportation. If you are planning to go to the sports arena by public transport, you will need to travel by train to Hempstead station first before walking to the bus terminal at Hempstead. From the bus terminal, you will take a bus to the venue. If you do not want to go by public transport, you can opt to drive your car to the venue. However, you will have to pay for parking. The cost of parking is an average of $40 and when there is a popular event going on, you might find it hard getting a parking space at the parking lot. Really, why do you want to go through all the stress when you can opt for Limo Service Long Island NY? When you use this service, you can be sure of arriving at the venue in comfort and style. Since the Coliseum was reopened in April of 2017, the event venue has witnessed some big-time gigs. There have been some big shot musical concerts at the venue. For instance, Sir Paul McCartney was at the venue and he performed for two nights in a row. The musical concert was well attended by music lovers from all over the region. Sometimes in October, Bruno Mars also graced the event venue to perform for one night. There have been a lot of numerous performances that have taken place at the Nassau Coliseum. Events, shows, and concerts do not seem to be going out of vogue as far as the Coliseum is concern. It is anticipated that the venue is going to witness large number of events in the coming year. If you are planning to attend any event at the Nassau Coliseum, make adequate arrangement for your Suffolk County Car Service to have a stress free journey to the venue. Apart from the star-studded musical concerts, there are also some great sporting events that have been lined up for big-time sports fans. For instance, the New York Open will be taking place at the Nassau Coliseum for the first time in February of 2018. Sports fans can look forward to having some top shots players at the event because the sporting event is an ATP World Tour 250 and many famous players are expected to be in attendance. If you are planning to attend this great event, it is advisable to hire a limo service in Long Island for the event. If you are wondering if you can afford to rent a limo, check out the Long Island car service rates to know the choice of limos that is within your budget. The safe, convenient and luxury ride is the perfect choice to go for when you are planning to attend a special event at Nassau Coliseum. When it comes to attending a concert organized by your favorite band or a special show at the Coliseum, Long Island Limo Rental knows the perfect limo to arrange for you. Opting to drive to the venue comes with different unpleasant circumstances that are beyond your control. Trying to get a parking spot and struggling with the traffic is a stress you can easily avoid when you use affordable limo service in Long Island to the venue. At Long Island Limo Rental, we understand your need to be at the event venue before the event starts so you can get a good seat. We, therefore, ensure that our chauffeur is punctual for your pickup at your location. You can trust us to get you to the Nassau Coliseum in good time to enable you to get settled in preparation for the show. 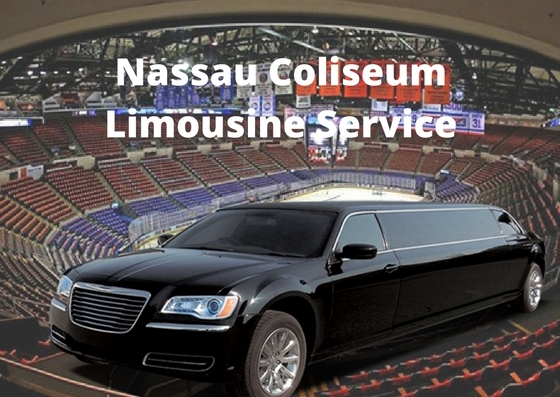 We look forward to arranging your Nassau Coliseum Limousine Service for your next event. Call us today to make your reservation.